In the now depillarised framework of the EU treaties, issues of institutional division arise from the legacy of the former pillar system. This is due to the reality that of prime concern in EU external relations is the question of 'who decides?' 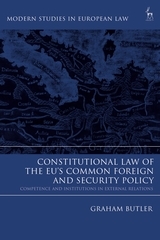 By engaging a number of legal themes, cutting across foreign affairs exceptionalism, executive prerogatives, parliamentary accountability, judicial review, and the constitutionalisation of European integration; the book lays bare how EU foreign affairs has become highly legalised, leading to ever-greater coherence in how Europe exerts itself on the global stage. 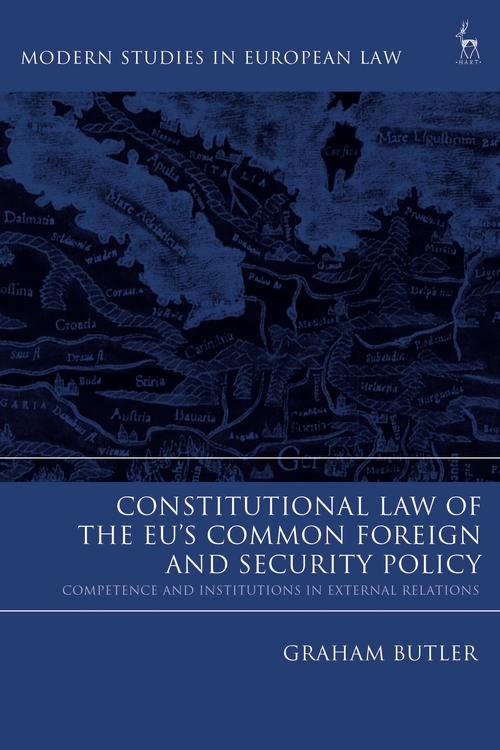 In this first monograph dedicated exclusively to the law of the EU's Common Foreign and Security Policy in modern times, the book argues that the legal framework for EU foreign affairs must adapt in a changing world as to ensure the EU treaties can cater for a more assertive Europe in the wider world.